Lebanese Cress plant, Apium nodiflorum, is sometimes known as Stonecress. A happily growing and spreading salad plant. Lush and attractive fern like leaves. A pleasant mild flavour in salad and garnish. Rich in vitamins and minerals. 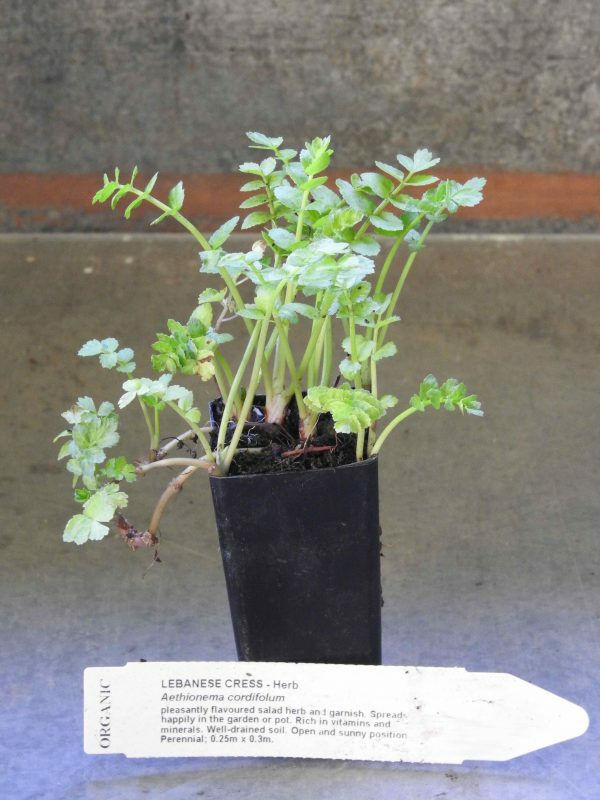 Lebanese Cress plant is a native of the Mediterranean region and prefers well-drained, alkaline soils in an open, sunny position. Drought and frost resistant. A perennial plant, growing to 0.25m x 0.3m. Be the first to review “Cress, Lebanese plant” Click here to cancel reply.